Get to know NAB AFLW player, Laura Bailey. 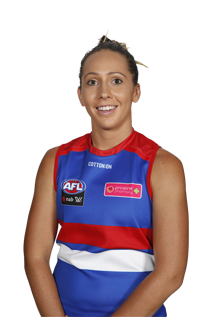 Last Drafted: 2016 NAB AFLW Draft 19th round selection (Western Bulldogs) No. 143 overall. Primarily a lockdown small defender who is renowned for her dash out of the backline. Impressed in the 2017 season playing 6 games for the Bulldogs.